Hi there! I've never heard of Pause Dream Enjoy... I'll have to bookmark it. In the meantime, thanks for adding this card to Shopping Our Stash! This snowy scene is definitely a cool stamp! Great card! 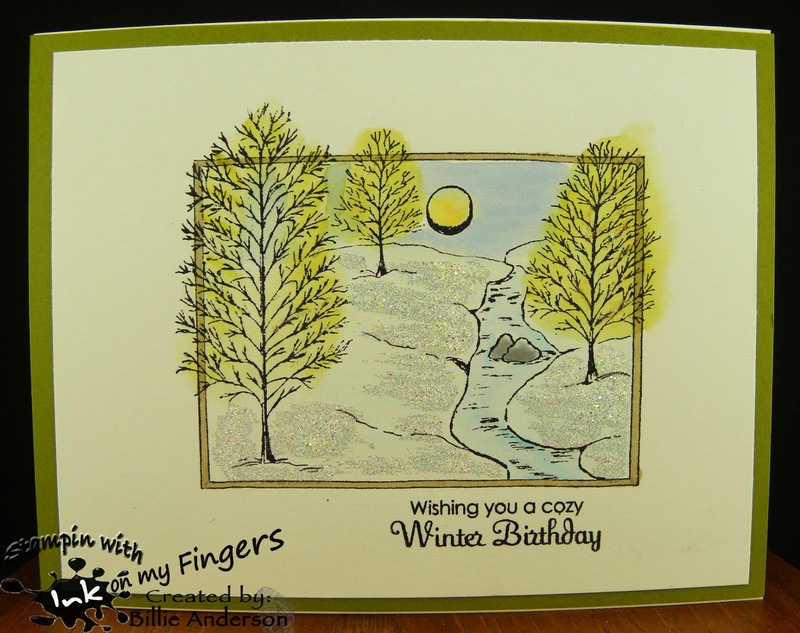 Lovely winter scene you've created Billie!